Ever wished that you could remember the colour that you painted a particular job with. Ever had a problem with a paint job that you couldn’t quite understand? Can’t remember what the name of the primer was that you used 5 years ago to paint your semi trailer? Don’t worry, you’re not alone! Hardly a day goes by that a customer does not ask us these questions; and as you can imagine, narrowing down “that red colour” that I bought last year can be a rather daunting task! 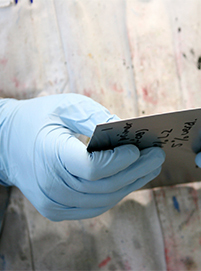 An essential part of successful coating application is to record details of the job. Not only are these details important for traceability and product identification, this information is a requirement to verify the technical specification of the product in question. For example; recording product names, colour names, product batch numbers, date of application, even temperature and humidity can save a lot of time and grief when it comes to re-ordering, or if you need to query product performance. To help you, we have designed a simple job record that can be downloaded, printed and filled in for your own peace of mind! Cameleon operates to a quality system certified to ISO 9001.2008. Our technical and production team work closely together, to manufacture high quality, practical products that work for you as you expect, every time you use them. We aim to deliver a consistent service level which exceed customer expectations at all stages of our relationship. Our sales staff, who have extensive industry experience, together with our technical department combine their knowledge to offer you immediate project specific solutions. Cameleon has a flexible production system that get’s the products and colours you require, quickly, accurately and efficiently. Our delivery system is backed up by logistics to make sure you get your products when and where you need them. Our staff will communicate with you to ensure you are using the best product to meet all your requirements. We customize our products so that they meet your unique specification and work for you as you expect. 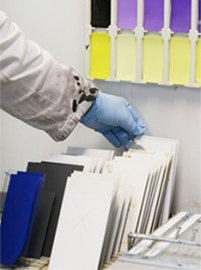 Cameleon is WA’s largest protective coatings and paint manufacturer. Our capacity and economies of scale means we pass savings on to you.